Officials from the Utah Highway Patrol, along with those of two other state departments, are asking this time, that the entire 10th U.S. Circuit Court of Appeals overturn the Aug. 18 decision by three of its judges, that says the roadside crosses memorializing fallen troopers must come down. 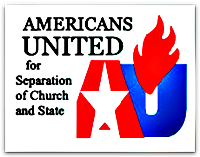 In 2005, (the) American Atheists Inc., out of Texas, along with some three Utah members, sued the State of Utah over allowing the use of the UHP’s insignia on what were deemed to be Christian religious symbols – and some of those installed on public lands. Deemed to be because, after untold centuries of being recognized as quasi-sectarian grave markers, the use of the cross as a memorial, is generally recognized as signifying loss of human life – regardless of faith. Regardless, after decades of what many atheists view as the unapologetic and presumptuous intrusion of religious belief and symbolism, into those supposedly sacrosanct areas that were intended to remain the separate locus’ of church and state, most non-believers feel no quarter should be given in the struggle to correct any indications of religious support. For many, the government went completely over the edge of this ‘slippery-slope,’ in first deciding to embellished United States coin and currency with the religious motto, ‘In God We Trust,’ and also when they endorsed adding that extra bit of prose ‘under God’ to the Pledge of Allegiance. The fact that this nation was founded on strict sectarian political principles, over 200 years ago, and both of the aforementioned alterations occurred barely 50 years ago – during the ‘Communist Scare’ of the 1950’s – should probably give pause to even the appearance of any endorsement or support of religious persuasion. As we all know, “Give the Devil an inch . .”.